One of the most visible hornists today, John Ericson has wide-ranging experience as an orchestral player, soloist, and teacher. 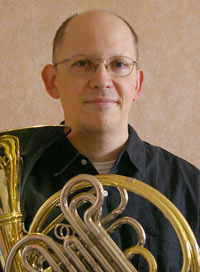 Co-founder of the online magazine Horn Matters, Ericson began his professional career with serving for six seasons as Third Horn in the Nashville Symphony. From there, he turned to full time teaching; first at the Crane School of Music (SUNY Potsdam) where he launched one of the first large horn websites Horn Articles Online. Since 2001 he has served on the faculty at Arizona State University, where he is Brass Area Coordinator. He has also performed as an extra on horn and Wagner tuba with groups including the Indianapolis Symphony, the Phoenix Symphony, and the Rochester Philharmonic. He holds degrees from Indiana University (DM), the Eastman School of Music (MM and the Performer's Certificate), and Emporia State University (BM), his hometown university. His three solo CDs on the Summit label have received critical acclaim: The Horn Call hailed Les Adeiux for "Fantastic playing.... The level of musicality, nuance and artistry is not to be missed" and called Canto a "Terrific collaboration between horn and piano." In addition, Ericson has made recordings with The Potsdam Brass Quintet and The Nashville Symphony, performed on the Grammy Award nominated Fourth World of Native American flutist R. Carlos Nakai, and was a frequent recording artist in the studios in Nashville. 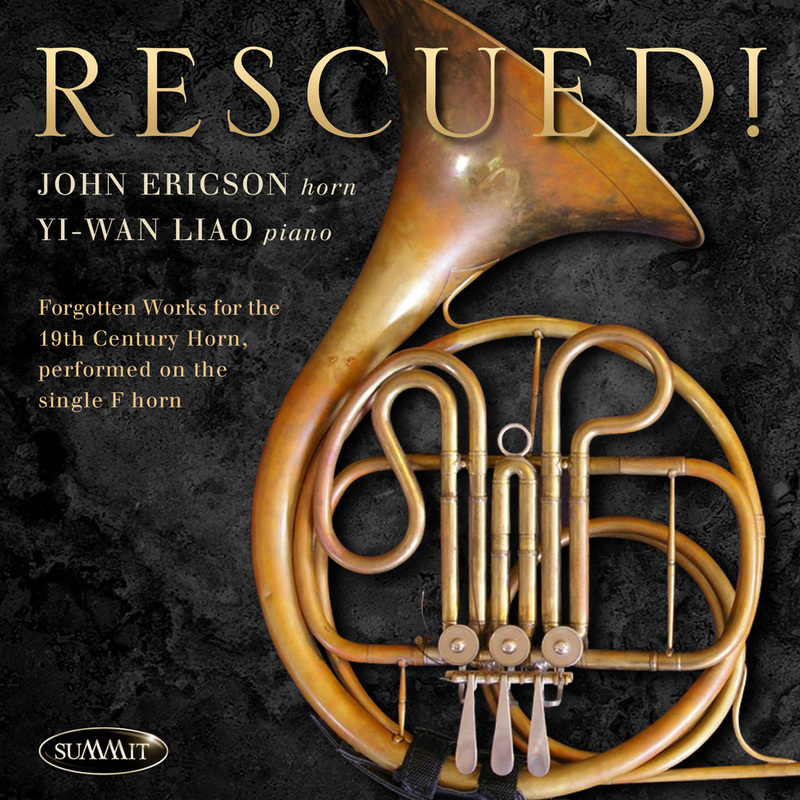 His most recent recording projects are Table for Three, a collaboration with his ASU colleagues Douglas Yeo and Deanna Swoboda, and Rescued!, a collection of forgotten solo works performed on the 19th-century F horn. Besides serving as Professor of Music at Arizona State, in recent years Ericson has served as artist faculty in the summers at the Interlochen Center for the Arts and the Brevard Music Center, where he has worked with hundreds of talented horn students from around the world. His publications are a reflection of his teaching. With his additional strong interest in all instruments of the middle brass, Ericson has print and online publications on topics as diverse as the mellophone and the Wagner tuba. He has performed and presented sessions at seven international horn symposiums and numerous regional events. A recognized authority on the history of the horn in the nineteenth century, Ericson is a recipient of both the Harold Meek Memorial Award and the Punto Award from the International Horn Society. Doctor of Music (Brass Pedagogy), Indiana University, Bloomington, IN, 1995. Major Professor: Michael Hatfield. Master of Music (Performance) and the Performer's Certificate, Eastman School of Music, Rochester, NY, 1986. Major Professor: Verne Reynolds. Bachelor of Music (Performance), with honors, Emporia State University, Emporia, KS, 1984. Major Professor: Melbern Nixon. Professor of Music, Herberger Institute for Design and the Arts, Arizona State University, 2018-present. Brass Area Coordinator, 2009-present. Associate Professor, 2007-2018. Assistant Professor, 2001-2007. Instructor of Horn, Interlochen Arts Camp, summer 2010-11. Artist Faculty/Principal Horn, Brevard Music Center/Brevard Music Center Festival Orchestra, summers, 1999-2006. On leave, summers of 2003 and 2006. Assistant Professor, The Crane School of Music, State University of New York (SUNY) College at Potsdam, 1998-2001. Third Horn, The Nashville Symphony Orchestra, 1991-98. Leave of absence, 1995-96. Visiting Associate Professor, Tunghai University (Taiwan), 1995-96.